The opening night film of the 2016 SXSW Film Festival was the world premiere of Everybody Wants Some, writer-director Richard Linklater’s follow-up to his Oscar-winning film Boyhood. 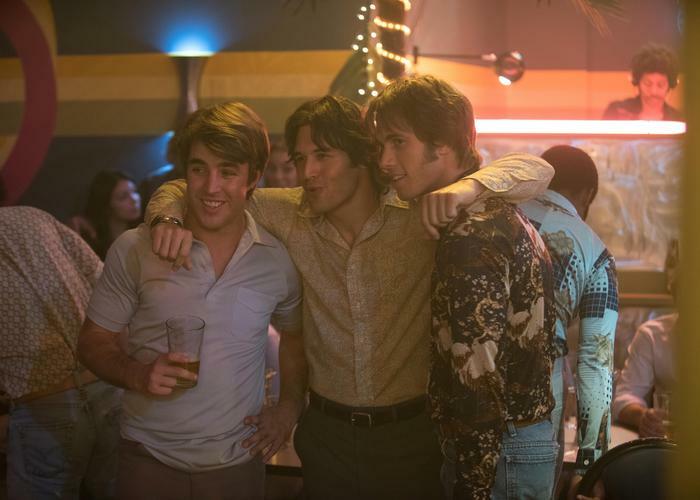 Everybody Wants Some is a film that Linklater has been trying to make for years, envisioning it as a spiritual sequel to Dazed and Confused, his masterful 1993 high school comedy. The film wouldn’t feature any of the characters from the original film, but it would have the same feel and energy that Dazed did. After Boyhood was as successful as it was, Linklater was finally able to get financing on the film from Megan Ellison over at Annapurna Pictures, and Everybody Wants Some was able to go into production a little over a year ago, and has just debuted to a very lively audience tonight. Here’s my review of Everybody Wants Some. Blake Jenner plays Jake (fantastic name), a freshman going to college on a baseball scholarship. He goes to a tiny fictional college in East Texas and moves into a house full of baseball players. It’s in this house that Jake begins to connect with his new best friends (a really colorful cast of characters and fine young actors) as they spend their first weekend of college partying, getting laid, and so on. It’s a brief description because that’s literally the entire story. This film ends where Dazed and Confused began, in the classroom. Linklater has never been one to have a great story in his film. The reason as to why all of his films are as strong and memorable as they are is because of the characters, and the chemistry between those characters. That’s why each frame of Everybody Wants Some feels so damn fun and engaging. Linklater makes you feel like you’re sitting in the living room of these players’ house, and you’re busting their balls along with them and doing stupid pranks and playing stupid drinking games with one another. You really enjoy being around these characters, and I felt like I had genuinely been through a lot with these guys in under two hours of running screen-time. That’s why, to no one’s surprise, Everybody Wants Some is another home run (pun sort-of intended) for Richard Linklater, and easily the best film of 2016 (and the festival) by far. Everybody in the cast was fantastic. Jenner is great, Wyatt Russell as the hippy pitcher is fantastic, Juston Street, Tanner Kalina, J. Quentin Johnson (all guys that I interviewed the other night at the Film Awards) are fantastic, especially since this is the first film for most of these actors. But the actor that I feel will benefit the most from this film is Glen Powell as Finnegan, the hot-shot older player that gives Jake and the rest of the players advice in baseball and with the ladies throughout the film. Powell is incredibly charismatic and hilarious in that role, and after his breakout role in Fox’s Scream Queens, I would be surprised if Powell doesn’t become the next big leading man, especially when this film debuts later this spring in theaters. Zoey Deutch (daughter of Back to the Future actress Lea Thompson) plays Jake’s love interest in the film, and she’s another breakout waiting to happen as well. Like all of Linklater’s women in his films, she didn’t feel one-dimensional or just a pretty excuse to have the character go after something. She was a fleshed out character that was able to have a genuine and really nice relationship with Jenner in the film. It helped a little with the theme of coming into your own, which was a prominent theme of Jenner’s character in the film (the film is inspired by Linklater’s time at Sam Houston State playing baseball for the school). The film is also gut-bustingly funny, with each joke and gag being funnier than the next. There were moments where myself, along with the rest of the audience at the Paramount, was laughing so loud and hard that it began to hurt. Not only is the best college film made in at least a decade or two, but it’s also one of the funniest. I’m gonna wrap up this review because I have an early morning tomorrow and I don’t have anything negative to say about Everybody Wants Some. For what it was, a college party comedy, it was flat-out perfect from beginning to end. The music, the era of the early-80s, the acting, and the direction/writing from Linklater make Everybody Wants Some a film that will definitely be remembered when 2016 is all said and done. I can’t say yet if this film will be as successful as Boyhood was for Mr. Linklater a few years back, but it’s definitely a worthy follow-up and another great film by America’s greatest director.